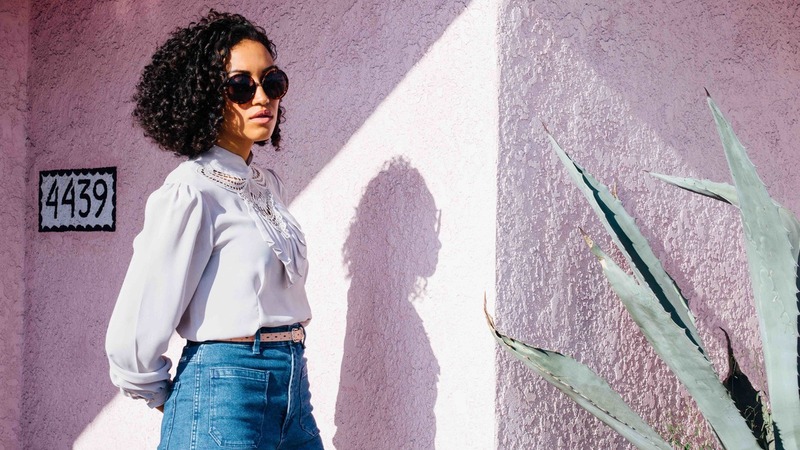 Kadhja Bonet's Quarter-Life Crisis Led Her Home — To Music Bonet grew up in a house full of musical instruments, but she didn't commit to becoming a songwriter and performer until her mid-20s. She joins NPR to talk about her journey back. Kadhja Bonet grew up playing classical music, but she always felt the need to experiment with other genres. "I much preferred the gypsy folk music that I would try to incorporate into my training, or klezmer — things like that," she says. Kadhja Bonet's latest album, The Visitor, is the product of a quarter-life crisis. She was 25 years old when she realized she wanted to take her life in a different direction. "I was in film school, I was miserable ... and I wasn't able to express myself," she says. So she found another outlet: music. Bonet is the middle daughter of seven children. Her dad is an opera singer and her mom is also a musician, so there were instruments all around her family's house, and she was encouraged to learn music as a child. Bonet says her dad wanted her to be a classical violinist, but she was drawn to other genres. "My favorite music is not Mozart and things that I consider more mathematical," she says. "I much preferred the gypsy folk music that I would try to incorporate into my training, or klezmer — things like that. So I was kind of rebelling, in my small way, against the classical violin world." It's no surprise, then, that when Bonet dove back into music as an adult, she didn't play the kind of music she'd learned when she was younger. Bonet says her father finally heard her perform her music — an experimental mix of soul, classical, jazz and folk — a few months ago. The opera singer in him couldn't help but provide some constructive criticism. "He had lots of pointers," she says, "and he was really eager to get me some voice lessons." She adds that her dad's response was overwhelmingly positive. "I think, really, he just wanted me to love music as much as he did," she says. "So I think he's really happy that I came back around to it." The Visitor came out in October, and we didn't want to let 2016 go by without giving it some shine. Hear more from Bonet at the audio link.